Line 6 has announced a couple of promotions, "Save Big on Your Dream Rig" and "Save Big on Your Dream Stage"
The Line 6 Dream Rig integrates a James Tyler Variax guitar, DT-series amp, and POD HD500 or HD Pro multi-effect. From October 1–December 31, 2012, customers can save $500 on the entire system, or up to $200 on select components. From October 1–December 31, 2012, customers visiting participating Authorized Line 6 retailers will receive $150 instant savings on DT-series amplifiers and $200 instant savings on James Tyler Variax guitars. Customers who purchase the complete Line 6 Dream Rig (including a POD HD500 or HD Pro multi-effect) are eligible for an additional $150 mail-in rebate. To qualify, customers must either purchase the entire Dream Rig (three components) between October 1–December 31, 2012, or complete their Dream Rig between October 1–December 31, 2012. Additional terms and conditions apply. During the same period, the “Save Big on Your Dream Stage” promo offers significant savings on StageScape M20d and StageSource live sound products. From October 1–December 31, 2012, customers can save $150 per StageSource-series loudspeaker—and up to $1700 on a complete Line 6 Dream Stage. Customers who purchase one or more StageSource-series loudspeakers save $150 per loudspeaker (via instant rebate, limit 10 per customer). Customers who purchase the Dream Stage—a StageScape M20d smart mixing system and two or more StageSource-series loudspeakers—save up to $1700 ($200 on the mixer via mail-in rebate, and $150 per speaker via instant rebate, up to 10 speakers per customer). Learn more at line6.com/dreamrig and line6.com/dreamstage. 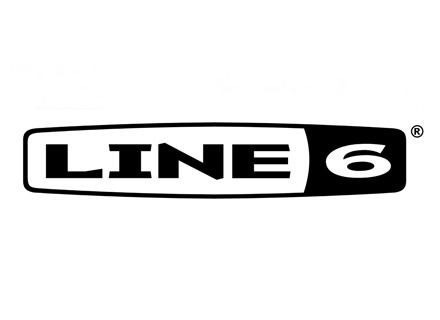 Line 6 Ships its Relay G55 System Line 6 announced shipment of Relay G55, a digital wireless in a half-rack format. Line 6 JTV-59P & JTV-69S Guitars Line 6 introduces two additions to the James Tyler Variax family, the new JTV-59P and JTV-69S guitar. Line 6 StageScape M20d Shipping Line 6 recently announced the availability of its StageScape M20d mixing system for live sound.